The Respira CBD Oil contains our newest and most advanced formula for a CBD supplement. 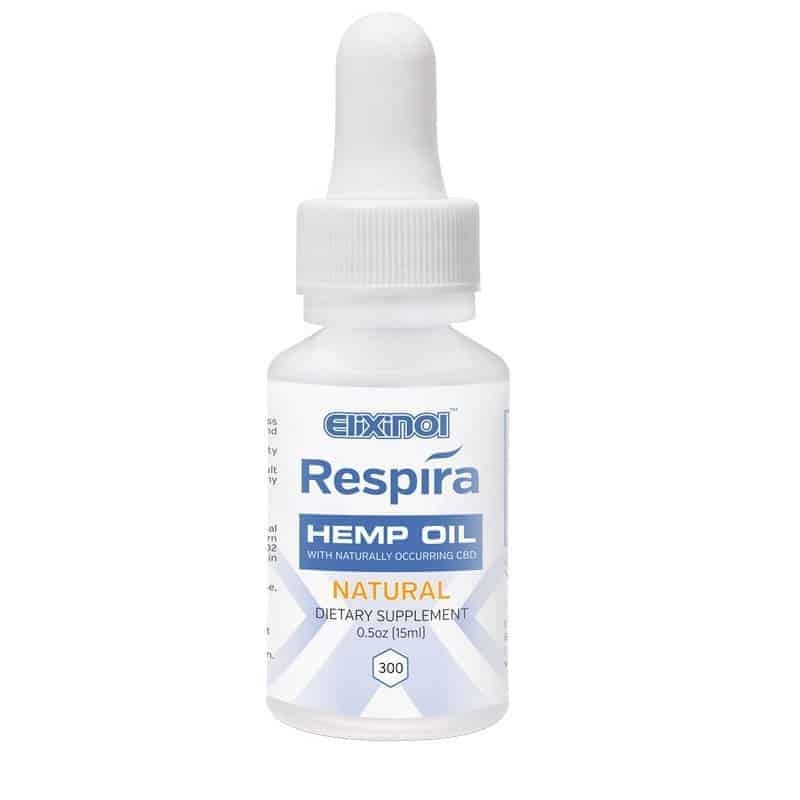 The Respira CBD Oil contains Elixinol's newest and most advanced formula for a CBD supplement. Respira is a versatile, multi-use product designed for convenience and ease of use. 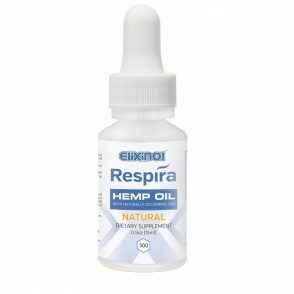 Elixinol's CBD oil and dietary supplement are a full-spectrum cannabidiol tincture or vape eliquid which can be taken orally or inhaled as vape. 1 natural flavored spill proof bottle containing 300mg CBD Oil in 15 ml tincture. Each 15 ml bottle contains 300 mg of CBD, suspended in a vegetable glycerin solution with a tasty grape-mint flavor. This full spectrum hemp extract tincture is in a solution which can be used in a regular CBD vape pen or more advanced vape mod. As VG is safe for consumption this can also be taken orally as drops under the tongue or as a food additive. Elixinol tinctures are made from full-spectrum hemp oil which contains a high concentration of CBD alongside many other cannabinoids. This means that you get the benefit of CBD with the associated actions and benefits of other cannabinoids which can be essential for CBD to work optimally in the body. Our CBD tinctures can be used to address specific health issues, or simply for you to stay healthy and reduce the chances of a number of conditions disorders and diseases from developing.